The main idea of this project is to use a drone to bring flying an automated electronic defibrillator (AED) where a cardiac emergency is happening. This drone will have a support platform with an easy extraction system in order to get the AED as fast as possible. 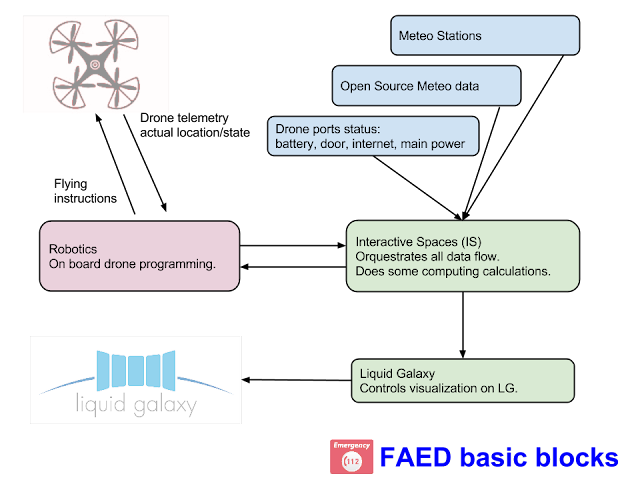 As a part of the global project called FAED, my project goal will consist to use the Interactive Spaces software to develop a platform that allows the reception of data, parsing into different formats and finally be used by the Liquid Galaxy to show the information in the system. It seems necessary to have a flexible, powerful and scalable system that allows to communicate with drones, weather stations and a local system. For this, IS seems a possibility software to deploy it because it uses de ROS platform to communicate different kinds of systems. We know that actually it is easy to communicate IS with LG, but we should investigate to communicate this with drones or outside elements. A more extended document is available will all the ideas and partners about project FAED. Moreover it includes the different elements that interfere in the project and introducing a first nomenclature approach. 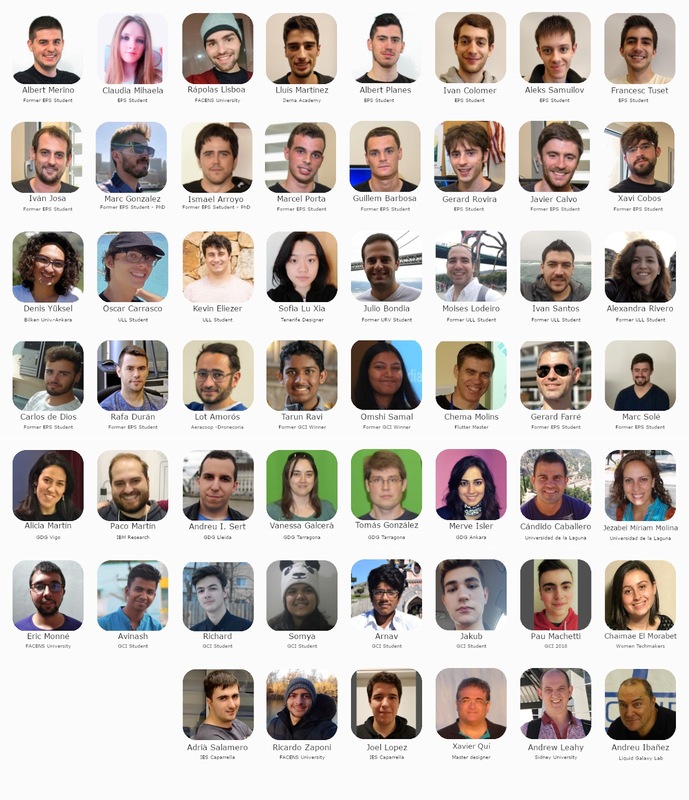 In the next image you should be able to see the different sources where the IS framework will work as a man in the middle of all the project. Using IS I pretend to communicate with all the the different actors in the project and enables a complete and secure communication between all of them. It can a real good use case, and it will be a great opportunity to show the goodness of this platform for the public in general.